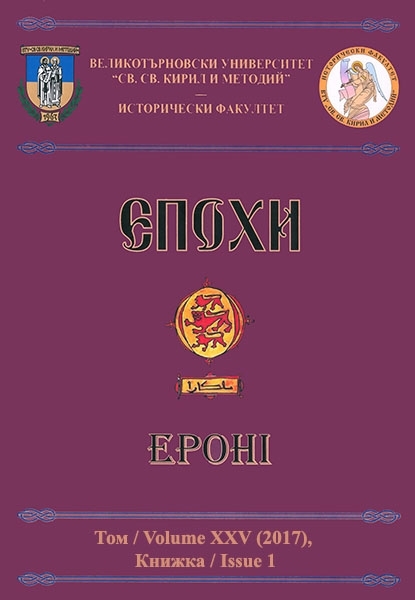 Published by the Faculty of History of St. Cyril and St. Methodius University of Veliko Tarnovo (hence forward referred to as UVT), Bulgaria, the journal Epohi [Epochs] is an interdisciplinary, peer-reviewed academic journal which aims at furthering the development of research in history, geography and other related areas of the humanities as well as at providing a forum for the discussion of educational issues in theсе areas. 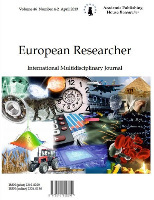 The journal is open to the wider national and international academic community and accepts articles by Bulgarian and foreign scholars based at other institutions, provided they conform to its overall thematic orientation and are not at variance with the main principles of its editorial policy. All submissions to the journal are subject to evaluation by a board of anonymous, independent experts. The journal maintains a strict “double blind” review policy. Reviewers are chosen on an ad hoc principle by the Editor-in-Chief and the Associate Editors. The journal is published in both print and electronic formats; the online version is available on the website of the Faculty of History, accessible via the specialized website of the University of Veliko Tarnovo. The journal demonstrates its commitment to openness by publishing articles in Bulgarian, English, French, German and Russian.